I thought it might help me blog more if I attempted to chronicle the steps I go through when creating my fiber items, whether it is a garment, quilt, or even stuffed animal. Some of the things I make are not gifts and so I can at least show the process for some of you who may be interested in the creative process as it relates to sewing in particular. So, let’s get started. This pattern is a top that I decided to make for myself. I have selected top “A,” however, I intend to alter some of the pieces to suit my style. I liked the front panel, as it could be smocked, pleated, gathered, or left plain. Any garment that has an insert of this nature allows you to substitute the insert with something else. 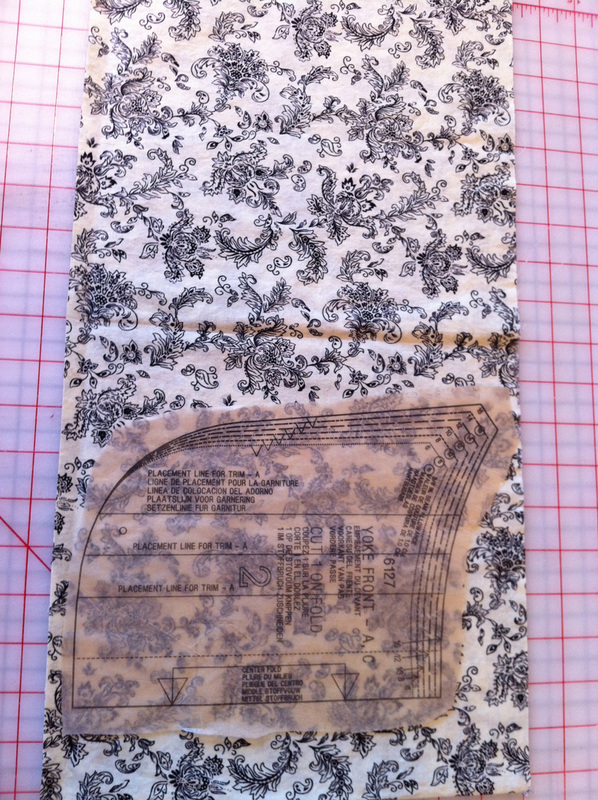 Basically, I follow the rule to create the substitution insert fabric piece first, then cut out the pattern piece from the created “fabric.” When doing this, it is important to find the pattern piece that is the actual size for the garment. In other words, if I chose to smock the panel and then cut out my smocked fabric using a pattern piece that is supposed to have a pleat in it, it will not work. It would be virtually impossible to pleat a smocked piece of fabric. Here are the three yoke pattern pieces I had to choose from. I chose #12. 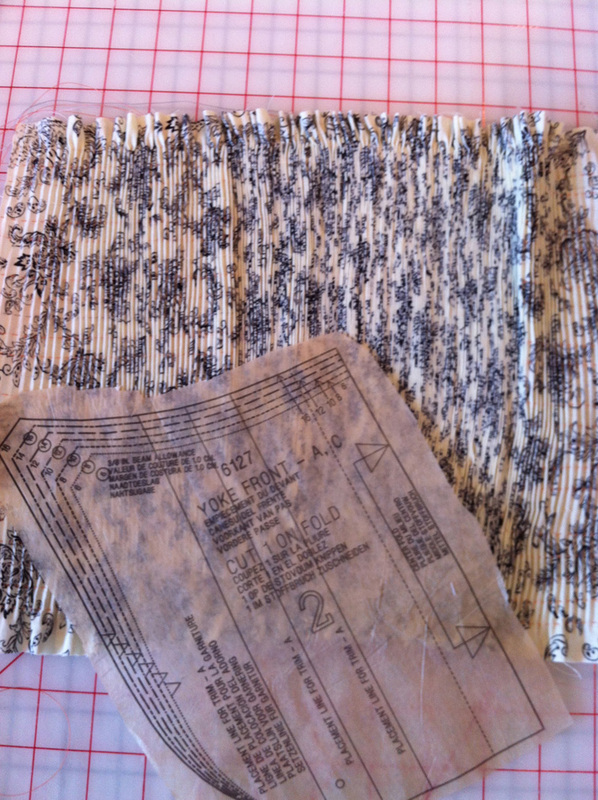 Number 8 was much larger because it allowed for the piece to be pleated after it was cut out. What I wanted was a piece that was already “actual” size. There was little difference between #2 and #12, so I started to go with #2, as you can see from the photos. However, it was important to figure out why #2 and #12 were just slightly different in size. After looking through the sewing instructions for the top, I figured out that pattern piece #2 has a single pleat in the center and pattern piece #12 is the actual size of the yoke without any gathers or pleats. I went with #12. For this top, I wanted to smock the front yoke. So, I measured the yoke piece (#12) from top to bottom, although all three yoke pieces were the same height. 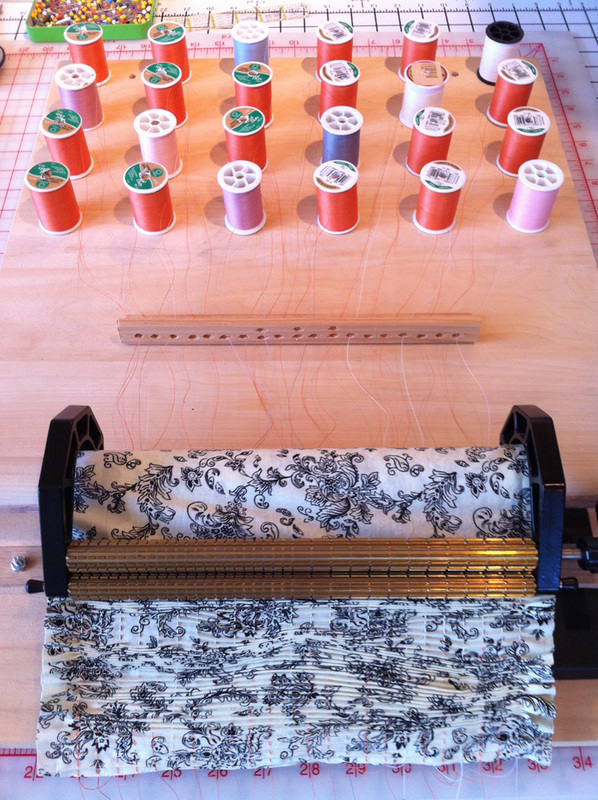 The measurement was 12″ and I wanted the pleats to be vertical, so I cut a strip of fabric 45″ x 12″. I threaded the pleater and then ran the strip through in preparation for smocking the panel. The pleater can look intimidating, but it is actually a very simple device. Here you can see the finished result of the pleating (again, I changed and went with pattern piece #12 after this photo was taken). 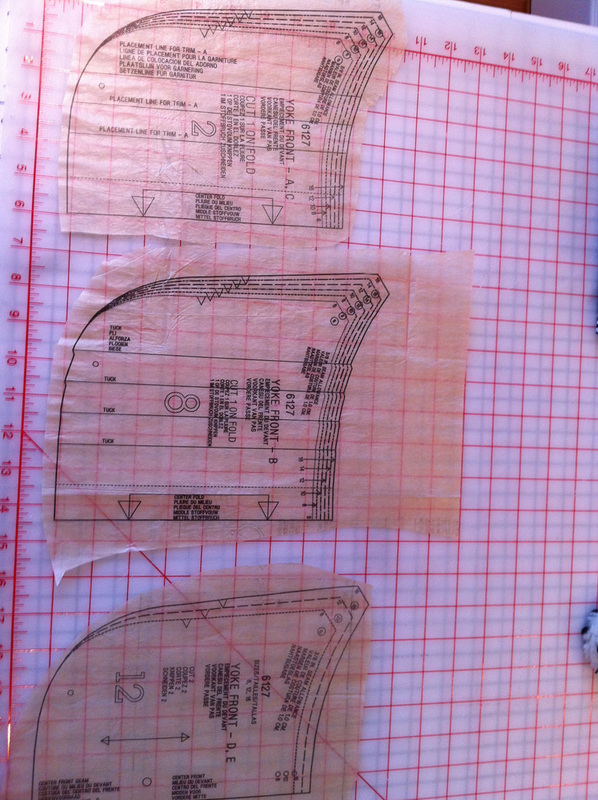 In the next post I will cover the smocking, blocking and cutting of the pattern pieces.